Uptown Dallas is about to become home to an interactive twist on doughnut shops: a place where you can design your own. Urban Donuts will debut at 2805 Allen St., in the same curvy building as Starbucks, facing McKinney Avenue. 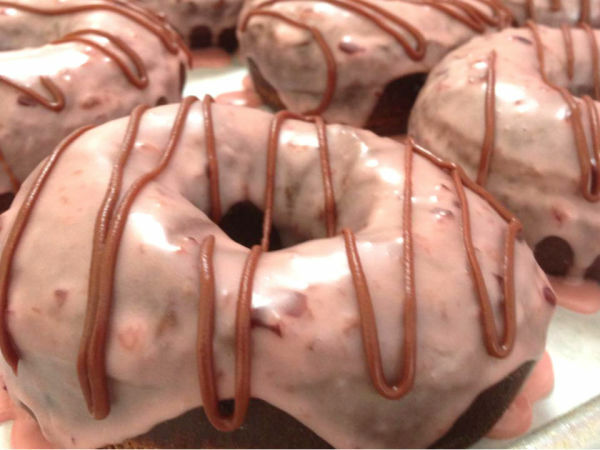 It comes from doughnut veteran Jim Huntley, who was part of the team that started a similar concept called Crunch Donut Factory in Arlington in 2016. Huntley's partner Mike Weyneth took Crunch to Las Vegas. 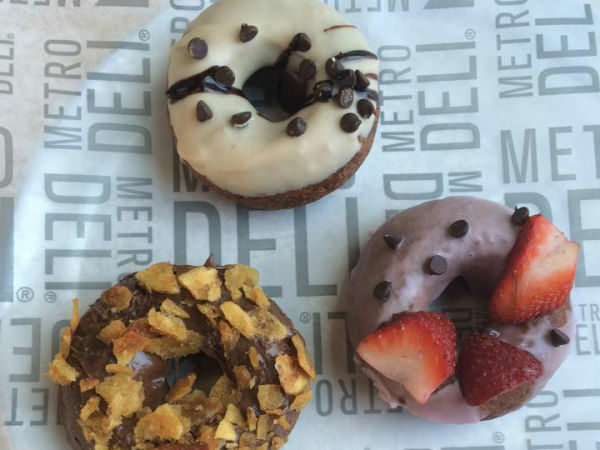 Huntley stayed in Dallas and will open Urban Donuts in July. It's truly an urban concept, open all day Monday-Saturday, with extra-late night hours (til 3 am) on Friday and Saturday, and until noon on Sundays. You can order ahead online and pick up, and Uber Eats will also deliver. The design-your-own concept gives you a choice of doughnut, plus fillings, frostings, icing, toppings, and even ice cream. Doughnut choices include a yeast ring, long john, bismarck, or cake. Fillings range from fruit fillings such as blueberry, raspberry, and lemon to decadent fillings such as cream cheese and peanut butter. If you'd rather not decide, there are suggestions such as a yeast doughnut topped with cream cheese frosting, jalapeños, and bacon, and a red-velvet cake doughnut topped with cream cheese frosting and red velvet Oreos. Names evoke Dallas locations. The "Uptown waffle" has a yeast waffle doughnut, topped with apple or cherry filling, and cream cheese. The "Highland Park" is a vanilla cake doughnut topped with salted caramel frosting, toasted coconut, and pecans. Other options include a bowl of doughnut holes covered with choice of toppings, and a doughnut topped with chocolate or vanilla ice cream. 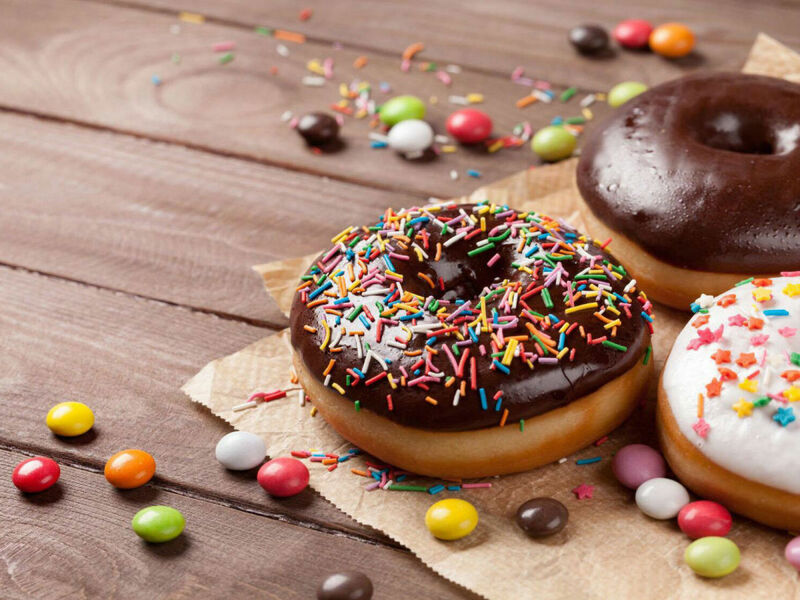 On the extreme end are doughnut shakes, with a doughnut whirred into ice cream, and the "lazy sundae," an exercise in excess with a heated doughnut topped with ice cream and toppings such as fruit, cookies, or candy, plus syrup such as chocolate, caramel, raspberry, or hot fudge. "We'll also have a doughnut case if you just want to get a doughnut," Huntley says. He's evolved the concept from his days at Crunch, which was very bright, intense, and kiddie sweet. "The decor at Uptown Donut is more rustic, and I've cut back on the candy we featured there," he says. "We still have some, because you can't not have Reese's peanut butter cups. But we're doing more walnuts, peanuts, cherries, and apple." 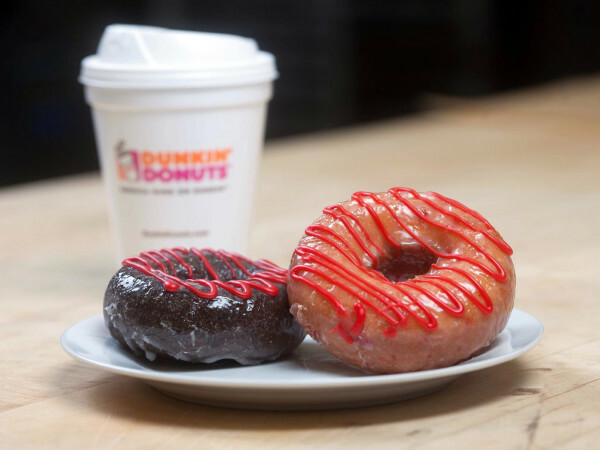 Huntley, whose food and beverage industry background includes 14 years at Morton's Steakhouse, says the idea for the make-your-own-doughnut idea came from concepts such as self-serve frozen yogurt. "I thought, 'Why not do it with a doughnut?'" he says.